If you don’t know already, then TradingView is now available on Kite. Here is the TradingQ&A post announcing the beta launch. Given this, I thought I could share a few of my favourite features on Tradingview (TV) and hopefully, this will help you, especially if you are new to TV. I do not intend to discuss the most obvious charting features on TV, as that I’m guessing would be quite intuitive to understand. These are a few offbeat ones, comes in quite handy when you are working with the charts. This feature is not specific to TV, but I do get a sense that this works better on TV compared to other platforms. I’m sure most of you are fairly familiar with the layout options. Imagine, you intend to trade ‘Indigo’ on an intraday basis. One of the things, you’d want to look at before placing the order is how Indigo’s price looks on different time frames. The regular practice is to change the frequency from 1 day to say, 15 minutes or 5 minutes. While this serves the purpose, it would nice if you can see how the chart looks at different periods on a continuous and simultaneous basis. This helps you anchor the price and build a perspective of where the current market price is with respect to other timeframes. For example, I like to look at the 1-day chart, 30-minute chart, and 15-minute chart, all at the same time. Click on the ‘Select layout’, an option available at the top right corner, and a select a layout you are comfortable with. Since I want 3 charts, I’ve picked a 3 chart layout which suits my preference. Also note, within the three charts, the one on the left panel is highlighted, this is evident with the blue border. The next step is to change the time frame across the three periods. My personal preference is to keep the left panel to the frequency that I intend to trade on i.e 15 minutes, the right top panel would be 30 mins, and the right bottom panel would be 1 day. You can change the time-frequency by clicking on the chart (when you do so, the chart is highlighted and a blue border appears), and changing the frequency to your desired one. The option to change the frequency is highlighted by a red arrow. With this layout, I can now see all the price behaviour across all the periods in 1 single shot. So when you place the crosshair on a particular price point, it appears across all the time frames simultaneously. This helps you build a perspective on the price action panning out across these time frames. That’s with the multi-time frame functionality, which in my opinion helps with intraday trades. If you have to get rid of this, in most of the other platforms, you’d be required to select the trend line and delete. In TV, you can do this with a click. Please note, the undo functionality undoes only the most recent action. This can be a distraction as the study may not really be relevant to this particular time frame. TV has this feature wherein you can fix the study only to the relevant time frame, and when you change the time frame the study would not appear. Here, I’ve specified that the study should be visible only on the end of day chart. So when I change the frequency to any other, this study will not appear. How many times, have you created a meaningful chart with tons of study on it. You want to share it with your friend over what apps or just tweet it out, but you end up taking a screenshot of the chart and that results in a rather ugly output. You can avoid this by taking high-quality images of the chart on TV. This will give you an option to either save the image or tweet it. I’ll keep this chapter open. I’ll add more interesting features as I discover them myself. Meanwhile, if you have something interesting to share, go ahead and comment below. Thank you for introducing this useful feature. I tried to find it on Kite but couldn’t find any option to open TV. Could you please help me to navigate to this feature? Thank you Karthik, I didn’t know this. Your 8th March candle is not showing properly irrespective of charting software and scrips. Can you please refresh your chart and check again? Thanks. Many thanks for your understanding and cooperation, Ankit. Unfortunately, the fiasco was not in our control and trust me, we are deeply disturbed by it. We will continue to do our best to provide the most amazing tools and features to our clients. It is more like a cause we are committed to. Accolades to Team Zerodha for Finally having TradingView Charts on your platform much after the false promises passed by Mr. T Siva. None the less, please look into the following points. 1. TV charts do not get fit into one page. Thereby the portion of volume or other indicators cannot be seen unless the chart is pop out. 2. The old functionality of choosing the ONLY SCRIPTS marked in the Marketwatch only are appearing. If the script is not added to the marketwatch then the chart is not allowed to be open. This is not in tune with the integeration which Sharekhan and Fyers (Entire platform of TV) is made available. Please allow all scripts irrespective whether it is added to marketwatch or not to be opened for charts. 3. TV Features of Buy and Sell orders from chart is not made available. Without this it is of not much use since the same can be viewed on TV Website just by opening a FREE ACCOUNT. Please consider ASAP. Hoping to get a Favourable Reply from Team Zerodha. Indeed Mr. Karthik, honestly your efforts for Zerodha Varsity is unmatchable in the industry and is of highest quality parameters. Good Work Done Team Varsity. Hope to get more added modules on Derivatives and All sorts of Option Strategies for free reading and learning which other trainers and paid programs teach for more than 30K. 1) For a feature rich charting package like TV, I guess it makes sense to pop out the chart. However, I will look into this. 3) You will have to popout and click on the top left button now. Looking into this though. I’m glad you liked the content on Varsity, Bhushan. We are looking at enhancing the content everyday! On the TV charting system the changes I make in charting theme does not get saved and always loads the default one, can you please do something about this, because it is not so in case of tradingview website. Also when when using multi charts, after sometime the charts start to lag data points, this is also the case in ChartIQ, this particular part is really troublesome because it creates a scenario of wrong decisions. Also sometimes I find my triggers get executed even when prices have not reached that particular point, now even if we consider HFT to be responsible for a very fast order flow, sometimes there is no indication of my price point being reached on the chart. Can you please see to this as well. Thank you! Why do the drawn lines wont get saved ?? You can save the layout, Ryan. Trade from the chart can be done by clicking on the top left icon. We have kept it this way to optimize for bandwidth. The marketwatch is deep enough to accommodate 200 stocks, Abhijeet. This feature should be added otherwise we have to use free version of tradingview or investing.com for quick analysis. I just wanna re-look at few concepts of “Technical Analysis” again here and I came back to see all the chapters. Luckily, I found this chapter very soon :). Very happy about this feature. (Looking at multiple time frames at a time). Earlier, I had to open 2-3 pop-outs of the same chart and select different time-frames and then compare one by one and come back. This was one of the problem which I was facing from a long time. Good that it got resolved now. And like “Bhushan” mentioned about “viewing share” without adding that script to marketwatch. That’s one concern. So, please try to work on this so that everyone is able to quickly look at any script chart without being able to add it to marketwatch. Great applause to you and your team. Good Work!!! Thanks again. Sure, Srikrishna! The feedback is already passed on to the tech team. We are looking into that. The Tradingview charts in kite don’t have an option to change the ‘Source’ of indicators like Bollinger Band, Moving Average etc. 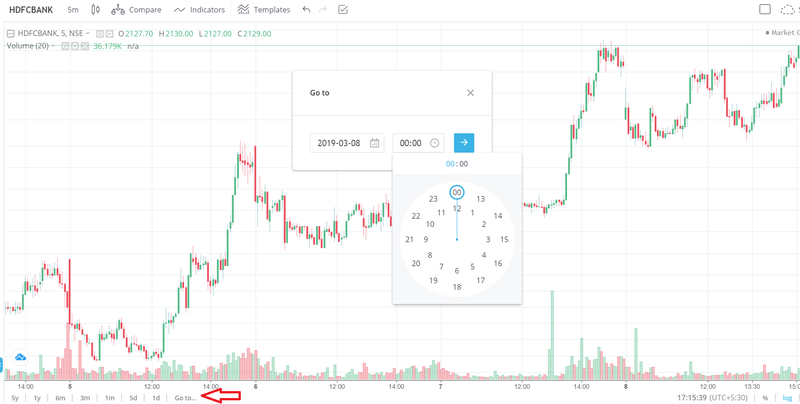 This simple feature is available in ChartIQ and TradingView. Can you please confirm if this feature will also be updated ? Any update on the above question? TV does not expose the source as such, Ajay. hi, can we trade from tv charts? Click on the top left corner to trade from the chart. I saved chart layout it worked fine on same computer but today I opened in office computer…it didn’t preserve my changes…is this normal ? Mohan, layouts are stored on local machine and templates on the cloud. So yes, this is normal behavior. But then, it won’t be useful na ? I can’t take my laptop with me in office ? right ? So it means…I have to rely on free version of TV. Well, we cannot do much about this, Mohan. On the right side top, there is a cloud symbol. You can save the chart layout and also get it back..
Hope that is what you are looking for. Why bar replay feature has not been made available? This is available only on TV. Tradingview will stay in Kite for a long long time. I was not able to find volume profile in trading view charts technicals? Is it available or is it on process? Nikhil, its there in Chartiq, but not on TV. Session volume as in the trading volume for the day? That’s there in TV. I still prefer chartIQ because the interface is more faster and elegant. Also some of the indicators like ATR trailing stop loss is not available in TradingView and MACD histogram in chartIQ shows colour change which is visually more appealing. Will chartIQ be removed from zerodha? No, it wont be. Traders will have both the options to choose from. Thanks for integrating Tradingview and Zerodha. I am facing few issues with Tv Zerodha, could you answer these issues. 4. Tv is not showing in mobile App. 4) It works, can you please check again? Even I am unable to find tv in mobile app kite..
Its available on Kite 3, Raji. There is no volume profile indicator in tradingview charting. when this will be added? when it will be available on TradingView? Sah, I’m afraid this won’t be available in TV. Can we export the chart settings from one login and then import into another login? We can then share chart settings with other users in forums, WhatsApp groups etc. Also, will be useful if there could be set of default chart settings/templates available to use or use as base to customise. Can we export the chart settings from one login and then import into another login? We can then share chart settings with other users in forums, WhatsApp groups etc. – No, this is not possible. But you can share HD images of the chart. Will be useful if there could be set of default chart settings/templates available to use or use as base to customise –> You can customise this and save as default. I am not able to view weekly chart on trading view. I have tried multiple times for different securities but weekly charts not open. Daily and shorter time frames are working well. Plz fix this. It loads, but a little slower than other time frames. We are working on it. Yes its still not loading weekly charts. :(, anyways thanks for adding this feature. It works, Darshan. Can you please check again? Hello sir, I am very pleased to inform you that I scored 220 in TA module, those tests took me to CAT exam days. I was sceptical regarding TA sir, does it work? TA/FA/QA are all techniques which work when applied with the right spirit and expectation. a bearish engulfing pattern followed by two spinning tops, but the uptrend is very small. Can this be considered as a shorting opportunity. also for trades executed based on TA analysis, how to trail SL sir. Thanks for pointing out the errors, Mani. Will fix them. Maruti, I’d be hesitant to short due to the strength coming back into the markets. Couldn’t get you, ‘strength coming back into the market’ means sir? It just means that the market is witnessing buying action again. congratulations on introducing TV to Zerodha. the alerting system which is in TV , will this feature come to zerodha also. i think most of them will be willing to pay some amount yearly for this feature. Its good but not best… still no sell and buy buttons on chart only we have power button on left side like old chart . I already contacted Zerodha Support regarding this issue, the issue is mentioned by other users in above posts. But still just wanted to give a suggestion if possible & you can implement it. I am already aware that CHART LAYOUTS on Trading View are not stored on cloud & are stored Locally On a Machine. But instead of saving them in BROWSERS CACHE MEMORY if it can be saved locally on to another location so if by any chance I clear the BROWSER CACHE, instead of creating all layouts again I can simply load them from a previous saved location. Because Browser Cache is not something that is permanent & needs to be cleared periodically, it becomes really frustrating in middle of trading to create the entire chart layout again if by chance the browser Cache is cleared. Please look into it if possible. Thanks. I understand, Samarth. Will pass on the feedback to the tech team. But I’m not sure since this is not an EXE, but a browser-based system. how to save the chart setting permanently so that when i open the next day it will open in the same settings . it seems the chart is saving ticker wise and that too only on that day . the next day i cant find the saving template and do it again . Ram, the layouts are ticker wise only, saved in your browser cache locally. Templates are generic and saved on the cloud. just like the example of the indigo and SpiceJet. Highlight the chart (blue border appears), and change the scrip name. 2) I opened my zerodha account on 30 July 2018.. When and how should I have to pay Annual maintenance charges for my Demat account? Whether it will be automatically deducted from my trading account balance? 1) What exactly is the problem, Rajesh? Whenever I open (TV) it opens with daily time frame with no indicators. I have to load indicators, change the time frame (5min) daily. Rajesh, you can always set a template with your favorite indicators and save on the cloud. You can loan it whenever you want. TV integration is highly appreciated. I have a query, can paid plans like TV Pro or Pro+ be integrated with Zerodha? Making this possible will greatly help to all who are interested in premium features of TV. Glad to know you appreciate it, Giridhar! Unfortunately, we cannot have the paid version yet. Im using TV pro since a year but he still DOESNT save my works… So my lines and drawings dissapear. Im using the same laptop. I usually got a few tabs opened with different currencies. The problem is he only saves the last one, even when i click on ‘save’ at all of them before i close Chrome… Its just ridicilous, im paying for this. TV doesnt reply on anything i tried so far. Anyone who can help me out…?? thanks.. !! Tom, we are aware of this. Talking to TV to see what best can be done. In the new Tradingview template, the weekly time frame charts are not loading properly for many equity shares (NSE). Either only 3-4 years of data is loaded, or even less, which makes no sense for Weekly time frame chart. The charts are loading properly for the daily time frame. I guess there is some bug with weekly charts only. Please look into it. Also, many charts are loading way too slow. Especially when I am switching to multi-screen window. I have sent the issue details with screenshots to [email protected]. Please have a look. I am using paid subscription of tradingview, and same charts are loading fine there. So, I am sure the bug is in the Kite Version itself. Vishwa, I think your support question has been replied to. Can you please check? 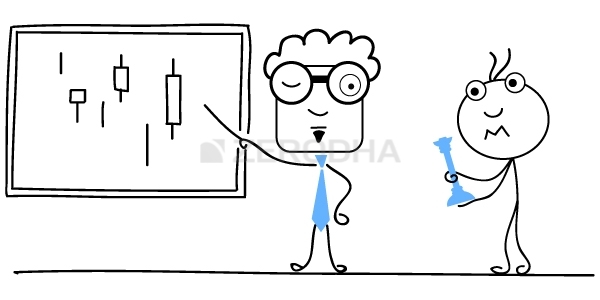 Hello, will Zerodha be available in tradingview as a brokerage option anytime soon? Is there a option to use custom indicator as available on original TradingView Platform. Not in this version, Sumit. Is there any way I can customize the time frame? For eg I would opt for a 37.5 minute candle and monthly candle to be based on FO calendar month rather than on Gregorian calendar month . Najeeb, you dont have this feature available on TV yet. Facing problem in weekly and monthly charts, they do not load. We are working on a fix for this, Atul. 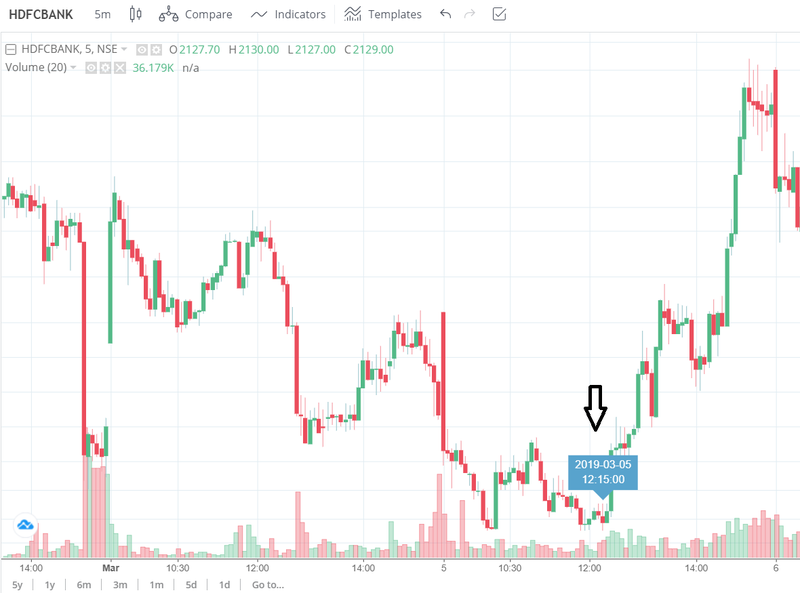 How to delete saved study template on zerodha trading view charts on kite web? I have saved some templates on kite web which I want to delete. But clicking on the ✖ option next to the saved template does not delete the saved template from the trading view chart on the kite web. I have been trying to delete them for some time but I failed. Note- I don’t use kite pie. Is there any other way to delete them? Kindly do let me know. I hope you guys can solve my problem so I am thanking you in advance. We are aware of this Abhijit, this should be rectified very soon. Recently, the tradingview chart is empty/blank, even though its selected in the My Profile. The other chart option ‘ChartIQ’ works fine, but not the tradingview. Tried in chrome, and other browsers the chart just doesn’t load. Also, this was working few days back, and has suddenly stopped working, same is the case on the Kite app too. When the tradingview chart is chosen, only the price is shown at the bottom of the screen, but not the actual chart and is blank. Atul, this is unusual. Can you hard refresh your browser once and check again, please? Thanks. I WOULD LIKE TO KN WHEN CAN WE TRADE FROM THE CHARTS FROM KITE PLATFORM ON NEWLY INTRODUCED TRADINGVIEW CHARTS. ‘FYERS’ THE DISCOUNTED BROKERAGE FIRM HAS THE FACILITY. BUT WHEN WILL ‘ZERODHA’ INTRODUCE THIS? Puneet, this is because the layouts are stored on the local machine. How many charts can be saved in layouts? I.m able to save only 10, if add 11th one, one will get deleted by default, why is this? can’t more charts be saved? Thats right, Sattya. 10 is the maximum number. save option not working , my all load chart get erase next day . most frustrating. In ChartIQ we had the option of continue of chart to check the price of previous month futures. How can i check the same in Tradinview chart? We dont have that feature (continuous chart) yet on TV yet, Kishore. We are looking into it. When will I able able to write my own pine script indicator? Is there a plan to get this feature in? We are looking into it, Rahul. so make this features to add for us. Sure Vijay, will note and pass the feedback to the team. Virochan, let me check. I don’t know if this is possible, but getting this checked.